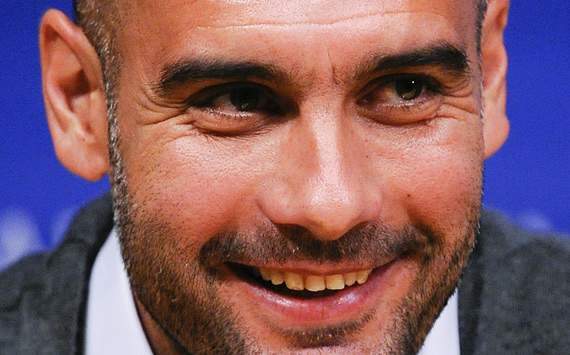 Former Barcelona boss Pep Guardiola has revealed his intention to return to coaching next season. The tactician has been absent from the game since his departure from the club after the 2011-12 campaign, and speaking during the press conference ahead of Monday’s Ballon d’Or ceremony, he shared that he intends to take over a coaching role again at some point. Chelsea, Manchester United and Manchester City have also been linked with a potential approach, while Bayern Munich are also understood to be interested in making the 41-year-old their coach next season. “I keep watching Barcelona on TV and it’s great to watch the team,” Guardiola continued. “I was a lucky man to spend a few years with this fantastic team and it’s a source of pride to know they continue to play just as well or even better than when I was there. As reported in an earlier post, Arsenal are Pep’s number 1 choice should they be looking for a manager in the summer. ← Who are the dirtiest team in the EPL? TKTG is a unique portal which combines the best football news & analysis from around the web with the insights & opinions of its panel of contributors: Omer, Amin, Asfand, Humaid & Salman. Our mission is to make TO KNOW THE GAME into your one-stop-source for all things football. With your support, we will broaden the scope to the rest of the vast world of popular sports. Remember to bookmark TKTG & sign up below to follow via email, and BE IN THE KNOW. If you like what you see, sign up below and we'll keep you informed about all things footy.